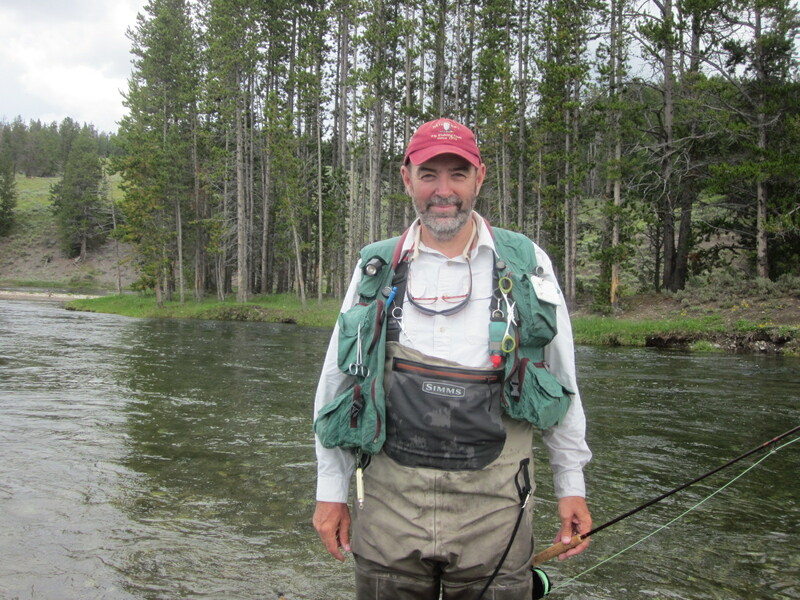 I am wondering what the top ten best simple flies for arctic grayling, rainbow trout,and dolly varden are. Artic Grayling...a Black Gnat. Could be a desire to fish wet, but I have always caught them with a Black Gnat fished up top. Rainbows? Where again? We fished muddlers in AK with lots of success, but lots of other flies according to the time frame, hatches, choice of dries, or wets. Hard to say on that one. And Dolly Varden, that are very hard to tell with the naked eye from Bull Trout,...make it meat. A basic streamer, and it could be egg patterns fished on the gravelly bottom if rainbows are spawning. I've used all kinds, but my favorite flies for Arctic Grayling are: Fast Water - Black Bodied Royal Humpy size 12 & 14, Slow Water - Black Bodied Adams size 14 & 16. Don't know why they prefer black, but they do. The Euro boys love to Czech Nymph them on heavily fished waters, but they rise to the dry fly so beautifully in the unharried places I pursued them, I never found the need to go deep. 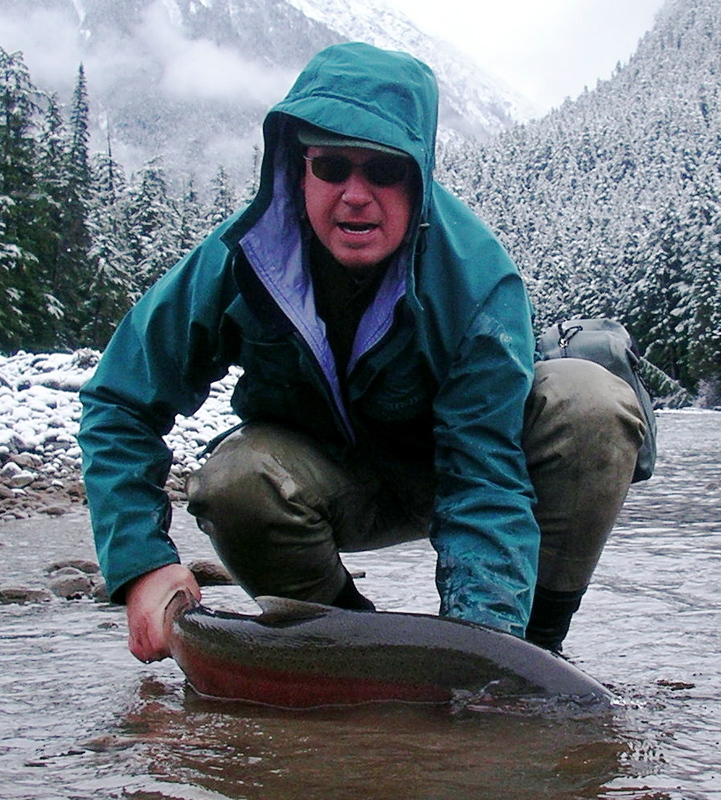 Dolly Varden and Lake Trout love big streamers at the feeder mouths of the lakes they inhabit. Rainbows? Egg and flesh patterns, hands down. But, if you're lucky enough to be streamside during a lemming migration.... Spin some deer hair so you're ready! I was wondering if you could interchangeably use goat hair with deer hair. Posts: 2604 You're welcome. Goat hair? No, I'm talking about spinning the hair and trimming to shape like a muddler head. You can also use foam rubber and hair strips. I meant would would it work to spin the goat hair as you would the deer hair. Posts: 2604 No problem.. Goat Hair isn't hollow so no, it won't spin too well. You could put it in a loop, twist it up, and wrap it on stroking back as you go to create a bulky body for trimming I suppose, but that's too much work (for me anyway), and I don't think it would float very well. Posts: 212 Thanks, I was just wondering because I have two goats, so I figured why buy deer hair if I don't need to. You answered my question.Thanks again for all your help. To answer your question, I really like using foam beetles for grayling around here. They're cheap, quick, durable, high-floating, pretty easy to see (I use a bit of orange yarn on top for visibility), and I rarely find a grayling that won't hit one. My very favorite fly for them is a Royal DoubleWing (one of Gary LaFontaine's designs), but it's time-consuming to tie and relatively painful to lose one on a snag. I haven't fished enough for rainbows and dollies in Alaska to have a favorite fly for them yet. You can also tie foam Humpies that are much easier to tie than the deer hair ones. Kurk liked the Humpies for grayling, and I tie humpies using foam. Love trimming off when my sizing is off. You can do it with foam. Same reason my parachutes are parachuted with poly yarn rather than calf let's say. One whack with the scissors, and my poly is the right height. 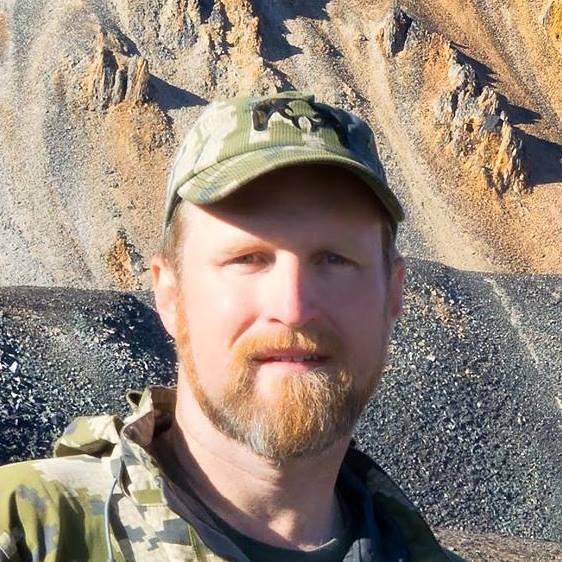 Had some compassion for those graying while guiding in AK. Clients brought heavy rods with them geared for big salmon, and rainbows, and would hook a grayling, and yard them in saying how disgustingly poor fighters they were. Then at dinner, I'd have to listen to it again!! !...but with a smile of course. You guessed correctly, except I live in the hills surrounding the Goldstream Valley. Which I would say is much better, because in the hills it is usually surprisingly more mild than the valley floor e.g. In this cold snap that just left Fairbanks the coldest we had in the hills was around -30F with the average temp being around -20 while the valley had down to around -40. Although without the inversion, temperatures even out. Right now it is around the same temperature in the hills as in Fairbanks. So Troutnut I am not going to totally take your title of the coldest person on the forum. We can share the title. Thanks to everybody for your advise. I definitely will tie a large number of beetles and Humpies, but I'll need to work up my skill to tie one of those Royal Doublewings. There is a pretty good rumor that Mr. Mark Libertone is a cook among cooks...I think, from what I've heard, we all should be climbing in the van and heading to Wellsville for Thanksgiving Italian style! I'll answer your second question first. Yes, we do have Thanksgiving, and I'm content to stay in Fairbanks and enjoy some amazing home cooking!!! Now to answer your first question, I can definitely feel the difference when it gets below zero,but there seem to be some people can't.The other day when it was -30 I saw a guy in a sweatshirt and shorts walking through a store parking lot. Today I went outside to feed my goats and chickens and I was surprised how warm it felt (it was around 2 F). P.S. One thing I am Thankful for is that it is not -30 any more. Clients brought heavy rods with them geared for big salmon, and rainbows, and would hook a grayling, and yard them in saying how disgustingly poor fighters they were. Then at dinner, I'd have to listen to it again!! !...but with a smile of course. That's a shame! 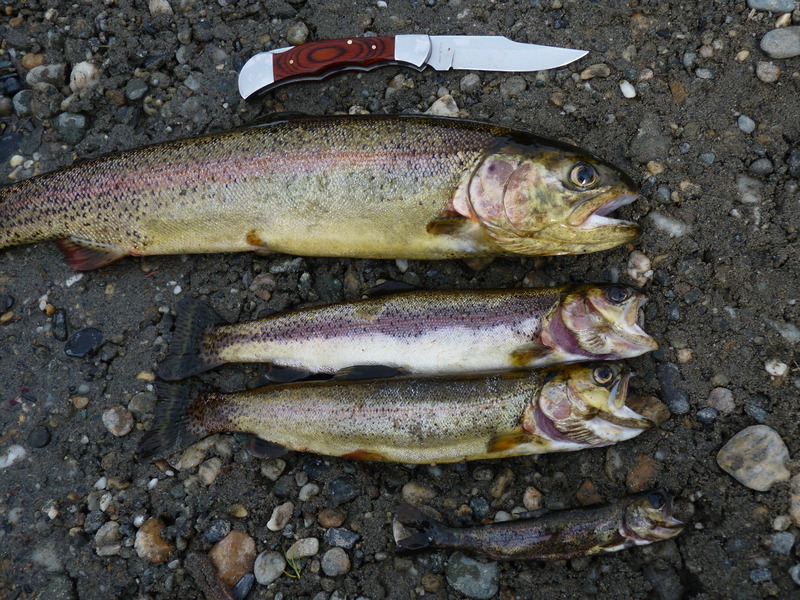 I would agree that on average they don't fight quite as well pound-for-pound as trout, but the difference is only around 10-20% and there are plenty of exceptions. The ones in the Chena are plenty of fun on my 5-weight, and any little grayling stream is fun with my soft 4-weight. So Troutnut I am not going to totally take your title of the couldest person on the forum. We can share the title. I think beetles and humpies will serve you really well. I should have also mentioned that griffith's gnats are really popular for grayling, and they do seem very effective for the rare picky grayling. Ants are the same way. But both of those are harder to see on the water and less fun to fish than a high-floating foam beetle, and the beetle works just as well 99% of the time. Still, it's worth having a few of the more subtle flies for that last 1%. Jason - What size Royal Double-Wing do you prefer? Do you use reg. brown hackle and nat. deer hair or go the full coachman brown dyed hair and hackle? Any pictures? I'll look into tying some gnats for sure. Size 12. When I use that fly, it's because I want a big, bright, bushy, high-floating attractor, and it doesn't make sense to go much smaller with that purpose in mind. I prefer coachman brown, but that's all for my aesthetic tastes and I have no data on whether it's more effective than ordinary brown. 40 below??? Hope the wind wasn't blowin! I've only got 2 big dogs, and that's at least a 3 dog nite! I not sure about the wind in Fairbanks, but we only had a couple of days with light to gusty wind here in the hills. Posts: 2458 Fairbanks is usually completely windless when it's this cold. Re: Will the real Grannom please stand up?